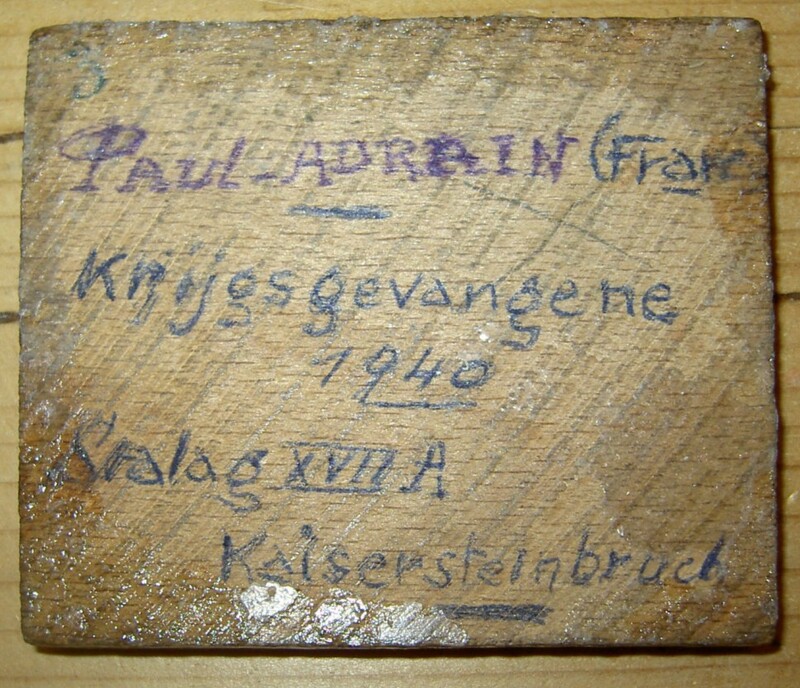 "I would like to find some info about a person who was in Stalag XVII A Kaisersteinbruch in 1940: French POW Paul Adrain. I'm afraid that I do not have further information on him. I found this piece of wood carving and this is certainly very important for his familiy if they exist. 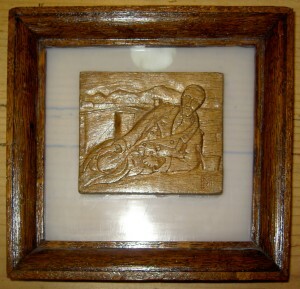 If so, I would like to know the person better and what he did and also show the piece to the family." The front of the wooden relief shows a reclining bearded POW in a military greatcoat and barracks in the background. 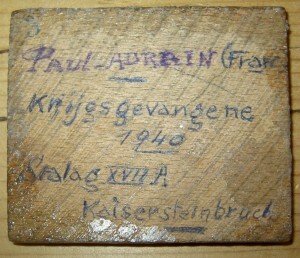 The carving bears the monogramme "PA". E-Mails by Sammy Fraeyman, Belgium, to Moosburg Online, March 2009. Last update 23-3-2009 by © Team Moosburg Online (E-Mail) - All rights reserved!